Recently I have been making quite a few chocolate cakes with Maltesers. 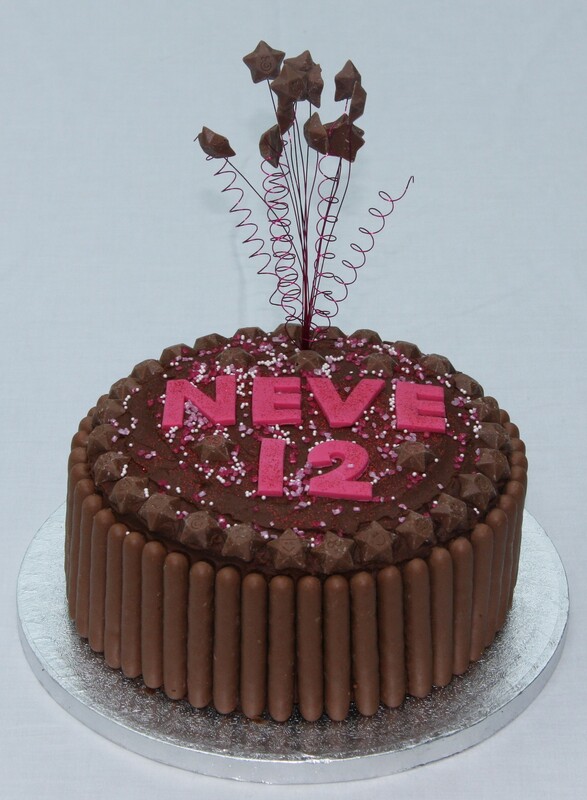 They are brilliant for decorating cakes and kids love them on their birthday cakes. But why stop at Maltesers? If you have another favourite chocolate treat, why not use them? 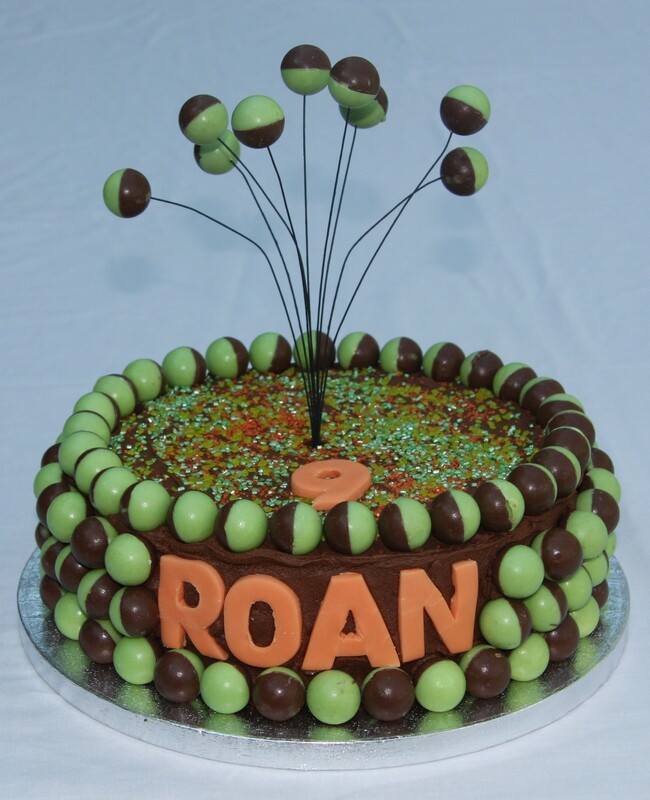 Chocolate icing, mint Aero bubbles and orange highlights! These cakes were really fun to make: both were chocolate sponge filled with chocolate buttercream. 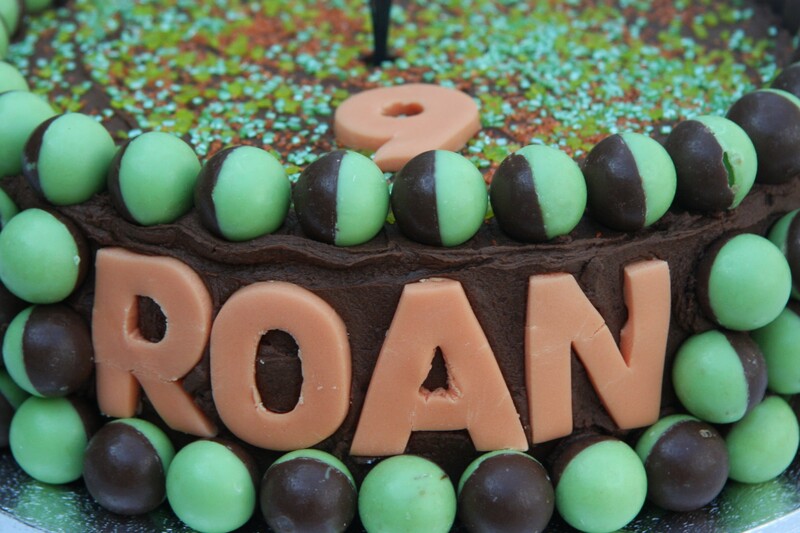 So thanks Karyn, and happy birthday to Roan and Neve. And I will be checking out the confectionary aisles for new ideas! both cakes and decorations look really beautiful, and chocolate, just yummmmm !! Wow… well done you! The cakes both look amazing, they are two lucky kids 🙂 I’ve never seen tiny chocolate stars with faces in the shops here (Western Australia). Pretty sure that we can’t get the Aero bubbles either… just Aero bars and block Aero chocolate. I always find it interesting that different candy is stocked (or not stocked) in different countries. I guess it makes sense, from a market point of view (did you know they have green tea Kit Kats in Japan? They’re delicious!). Thanks for sharing your cake designs with us! It is really interesting to see what you can find in different countries – green tea Kit Kats sound amazing, have never heard of them! Thanks very much. These cakes look gorgeous, I really admire your talent. Have a wonderful week and thanks so much for passing by and for leaving me a note. Hope to see you more often!!! Thank you very much, you too! They are fabulous!! What fun! Thanks, I had great fun making them! Thanks, it’s amazing what you can use when you start looking! Gorgeous! But where do you get the spikes that you stick the magic stars etc on from? They look great! Need for daughters cake ASAP!! 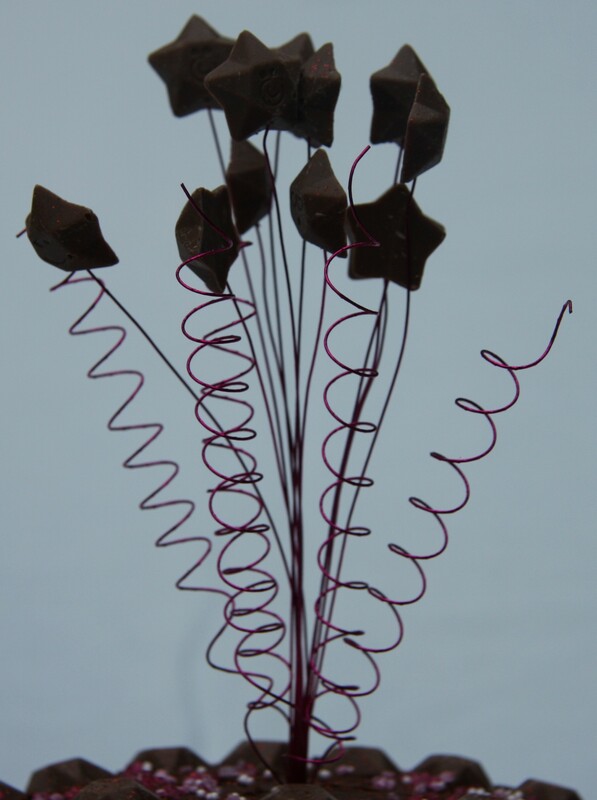 Hi, the wires are called floristry wires but are mostly sold in cake decorating shops. You can also get them online. 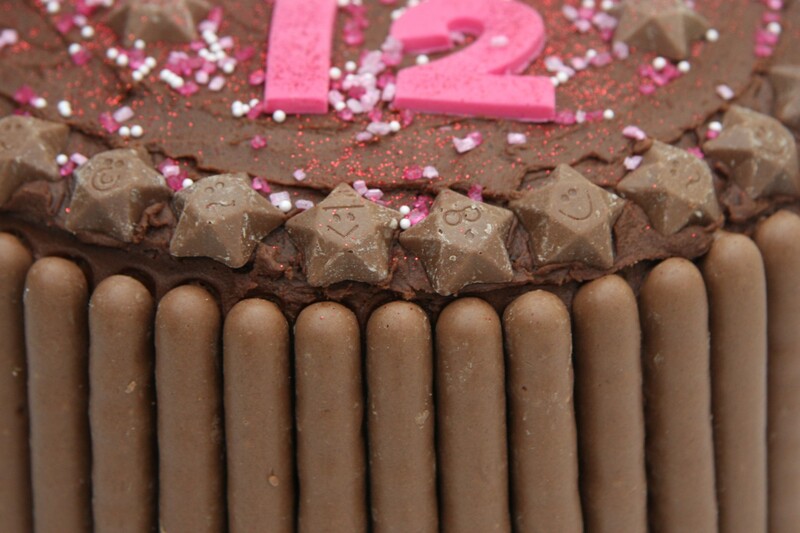 The coloured ones tend to be the very thin ones and won’t support a lot of weight – I used 26 gauge for these cakes. For larger or heavier decorations you would need a thicker, stronger wire. The thicker they are, the smaller the number but the thicker ones tend to be white, black or green. Hope that helps and hope you manage to get some for your daughter’s cake! Thanks very much for your comment.